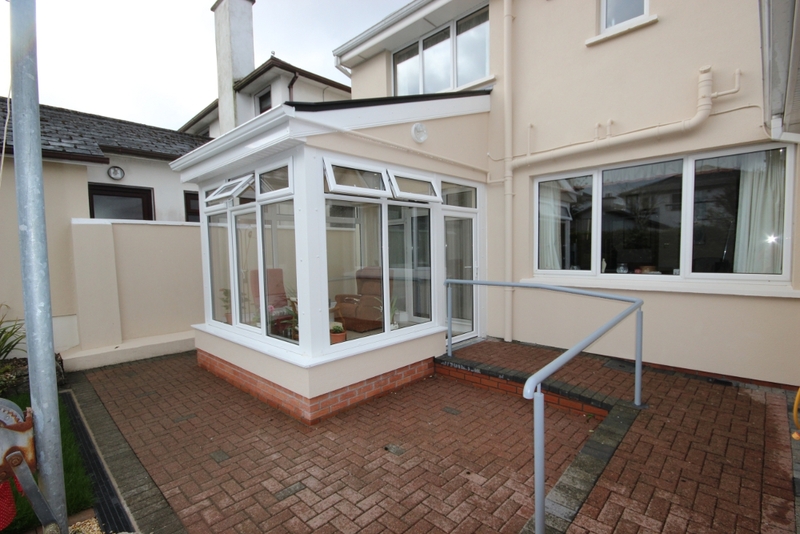 PORCH WITH WHEELCHAIR ACCESS | Mathieu & Mitchell Ltd.
Ursula Coniffe contacted M&M to advise her on adapting her home as a family member had mobility issues. 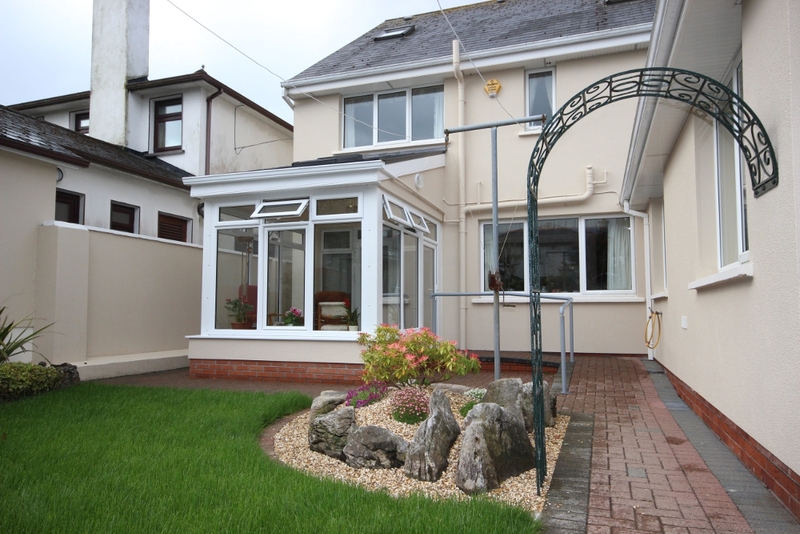 She was aware of our strong track record in this area, as Lifetime Adaptable Design is a cornerstone of our business. 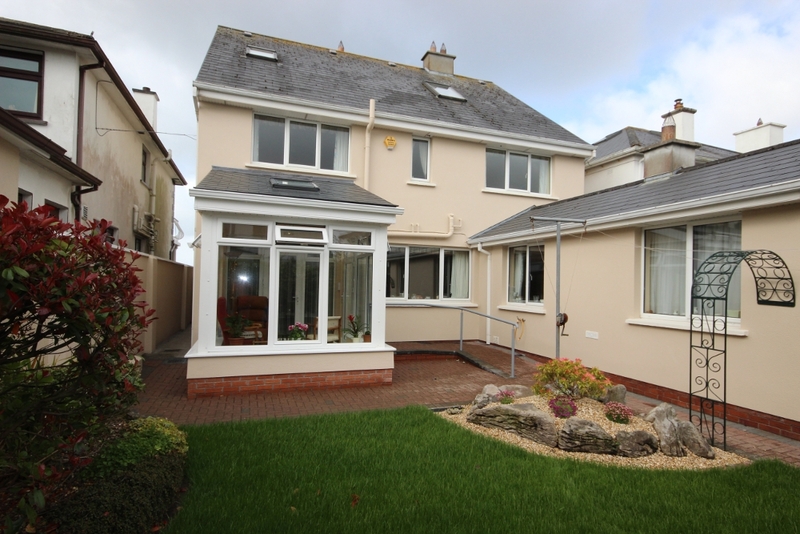 Following our first site visit to Salthill on a very windy day, it was decided that the project should be located to the rear of the house. 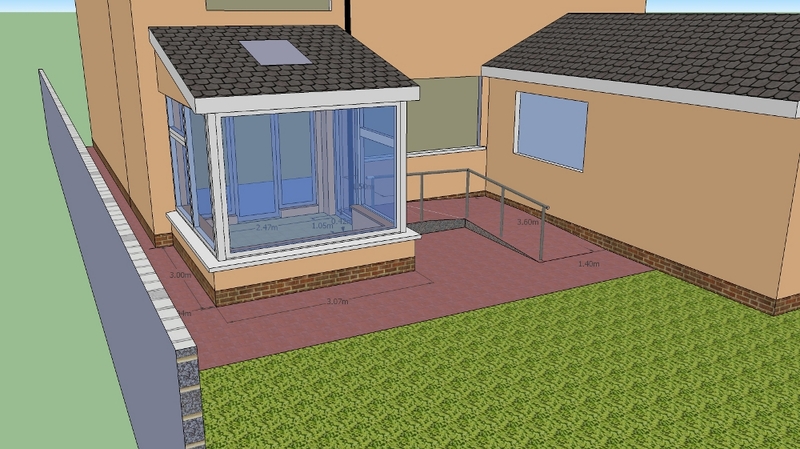 The brief was to create an area, which would incorporate a wheelchair ramp and give sheltered access to the home. 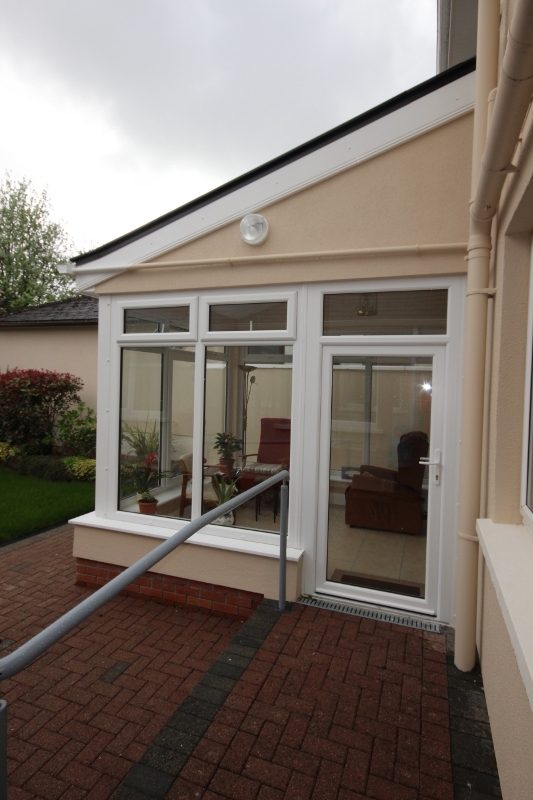 The agreed design was a steel framed glass extension with a slate mono-pitched roof and an external ramp. 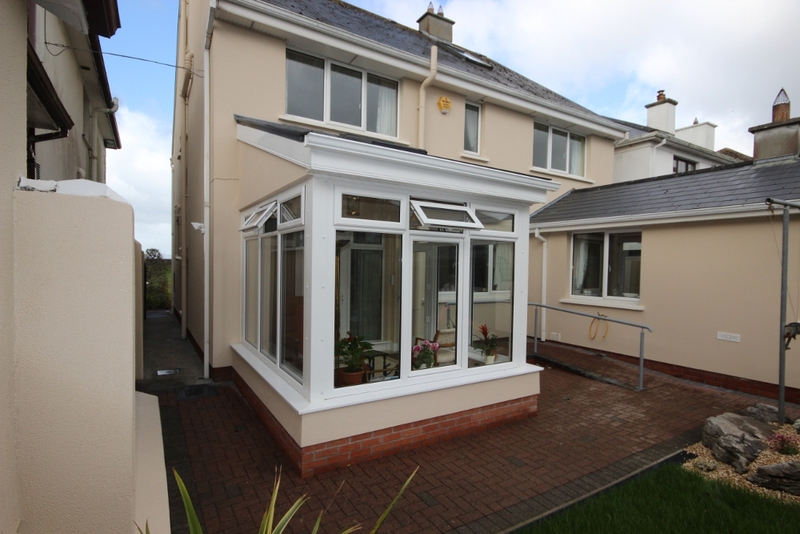 The steel and glass approach would speed up the delivery time and also give the extension a stylish modern look. A five-week program was agreed which meant that Ursula would have her beautiful back garden restored before the spring. The existing paving bricks were set aside and reused to construct the ramp which gave the impression that it was part of the original patio. 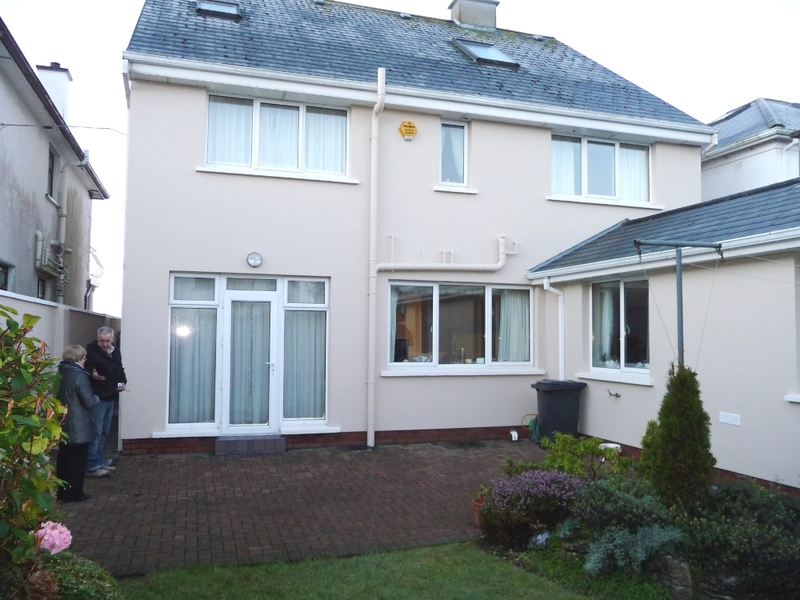 Passive solar gain has been achieved by the extensive use of glass. A tiled floor acts as a heat sink, which helps soak up the heat during the day and release it during the night when it is needed. External lighting, the use of motion sensors and the extra wide doorway are critical parts of the design. The powder-coated handrail and level threshold ensures that the ramp is safe for all users. The final result is a fit for purpose addition, which is user friendly, aesthetically pleasing, and which merges into the existing structure.